Backtracking is a search that find all possible solutions by enumerating on partial solutions. Backtracking can be done using DFS or BFS. Generally, DFS will be better than BFS because backtracking is used to enumerate many, many solutions. Since BFS requires storing each "level" of solutions and DFS requires storing each "height" of the solution, DFS will have a smaller memory footprint. In most backtracking problems, the "levels" of the solutions will be very large but the "height" will be small. Thus, DFS will be the preferred solution for most backtracking problems. Backtracking is similar to recursion, but instead of generating all the solutions, we will generate each solution one by one. When backtracking, we only need to store the current solution in memory, whereas with normal recursion we need to store all the solutions into memory. Since backtracking requires enumerating through all solutions, it is usually slow with runtimes such as O(n!) or O(2n). Given a set of numbers S of length N, output all subsets of S.
We want to be able to enumerate all the subsets of S so we need to find a way to encode a subset of an array. We can use a binary number of length N to encode a subset of an array of length N. A one at position x will indicate that the xth number is in the set. For example, 1001 means the first and fourth is in the set so we have (1,4). At each position, we either use or don't use the number in the set. 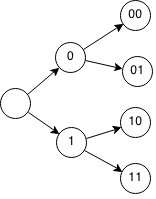 We can enumerate through all possible encodings by starting with 0 or 1 and appending more 0's or 1's. However recursion uses a lot of memory to store all the solutions. Instead of building all the solutions, we can build each solution one by one and only store one solution at a time. 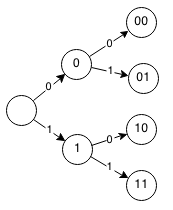 We can implement backtracking with recursion, but we pass in the same array instead of creating new ones. We only store one set at a time in the use array. Find the number of ways to place N queens on a NxN board without any of them attacking each other. 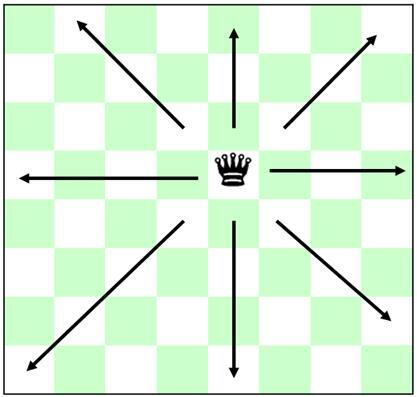 Queens can attack anything along its row, column or diagonal. First we need to be able to encode a solution. There must be only one queen in each row, each column, each positive diagonal and each negative diagonal. We need a way to encode each row, column and diagonal to make it easy to check that they are all unique. If we guarantee that all rows are unique and we have all columns filled, then we can guarantee that all the columns are unique as well. To encode a diagonal we can use a clever equation to represent the diagonal. Notice that every positive diagonal has the same value for row+col. Every square with the same d1 is in the same diagonal ( / ). For example, on a 6x6 board: (0,2), (1,1), (2,0) all have d1 = 2 and are all along the same diagonal. Everything with the same d2 will be on the same diagonal. For example, on a 6x6 board, (0,0),(1,1),(2,2) have d2 = 5 and are all along the same diagonal. Now that we get can encode rows, columns, and diagonals, we can use it to make checking solutions more easy. We can keep sets that track with rows/columns/diagonals are currently filled and check our solution to make sure we do not have anything in the same row/column/diagonal. We can place a queen in each row and make sure that each column / diagonals is unfilled. Here is a Java implementation of counting the number of ways to place 8 queens on board. // Base case if 8 queens are placed. // Check queen coordinates are valid. // Mark rows and diagonals as filled. // Clear rows and diagonals. Given a sequence of numbers, output all increasing subsequences. 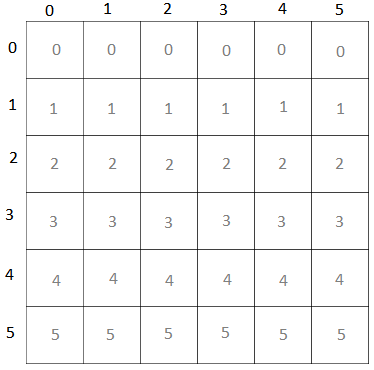 Given a NxN chessboard with certain squares that can have no pieces placed, output the number of configurations that can be made from rooks without attacking each other. 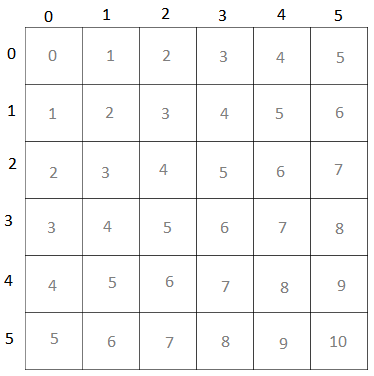 Given a sudoku problem, output a solution for the grid if it exists. Note: this question is popular for technical interviews. 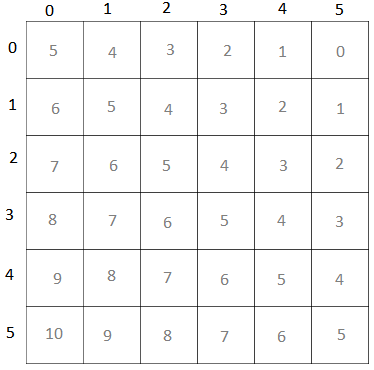 Given a NxN magic square where you need to place the numbers from 1 to N2, find the number of ways to have every row, column and diagonal add to M.